Fill a large saucepan with water and add your salt. You will need 1 teaspoon of salt for each liter of water. After the water has reached a boil, add in your lobster. Boil the lobster for 1 minute for each ounce of weight. For example, if your lobster weigh 8 ounces, boil for 8 minutes. After cooking is complete, drain the lobster and serve hot. Don’t forget the melted butter and lemon. Coleslaw is a great side dish to serve with lobster. Also, a fresh green salad can make any lobster dish a healthy summer treat. A nice rose wine will compliment the taste of any lobster dish. Eating lobster can be beneficial to your health. 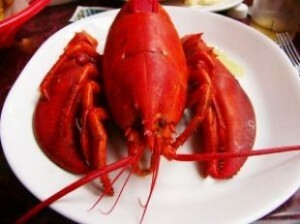 Lobsters are one of the best sources of vitamins E, A and B6. Lobsters also have an anti-inflammatory property.